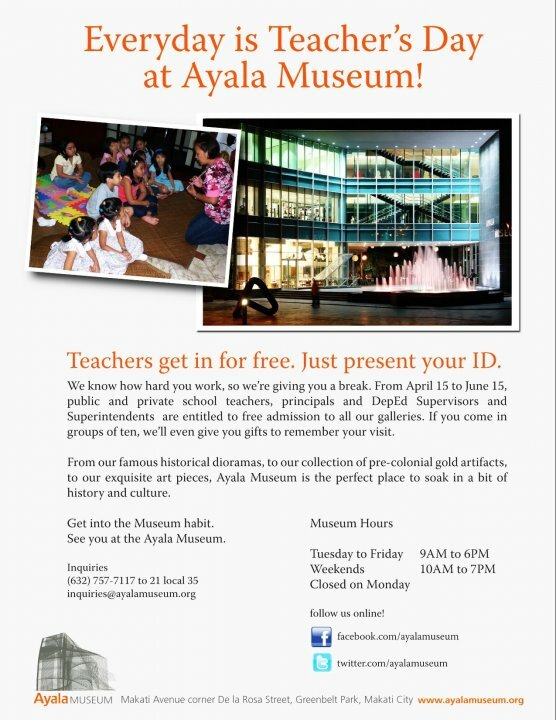 From April 15 to June 15, 2010, teachers are privileged to get free admission in all the galleries of the Ayala Museum located in Makati City. Just present an ID. This is a great way to spend summer appreciating the beauty of ART.